"Bedardi" is a 1951 hindi film which has Jasant, Geeta Bali, Nimmi, Cuckoo, Manju, Amirbai Karnataki, Rashid Khan and Jeevan in lead roles. We have 2 songs lyrics and 2 video songs of Bedardi. Roshan has composed its music. 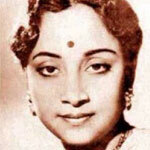 Mukesh and Shamshad Begum have sung these songs while Kedar Sharma and B. R. Sharma have penned its lyrics.